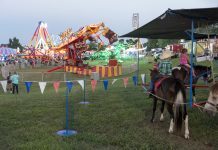 The 2018 Riley County Fair kicks it up again this week Thursday through Monday at the county fairgrounds off Kimball Avenue. The county fair will start off with the “Blue Jeans & Country Dreams” 2018 Fair Parade at 6 p.m. Thursday. 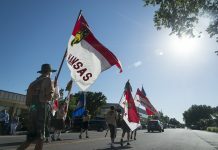 The parade will begin at the Manhattan Town Center and end at City Park. No pre-entry registration is required to participate in the parade. The Military Family Appreciation night will also take place Thursday. Tickets are available at multiple locations around town including the Manhattan Chamber of Commerce. 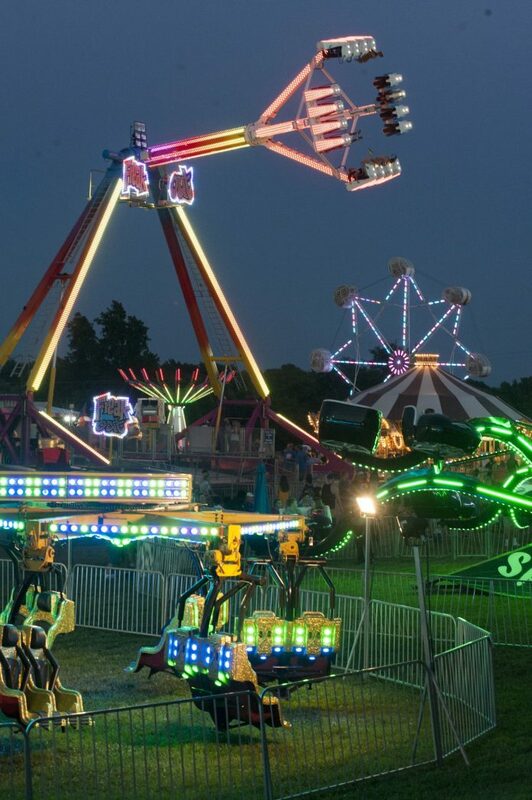 The Ottaway Amusements Carnival will be open nightly Thursday through Monday. Wristbands are $28 each and single tickets are $3.50. Ticket packages are also available. At 8 p.m. on Thursday, Friday and Saturday, the Kaw Valley PRCA Rodeo will take place. Tickets at the gate range from $6 for children to $15 for people 13 and older. More rodeo details can be found at www.kawvalleyrodeo.com. On Friday, fairgoers can enjoy a barbecue meal from Blue Valley Pork Producers from 5 to 7 p.m. on the Pottorf Hall Patio for $8. At the same time, singer April Zieber will perform in the Flint Hills Auto Entertainment Tent. 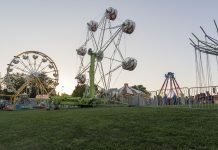 Other performers include Chappie Live on Saturday evening and the Buffalo Wingnuts on Sunday, both from 6 to 8 p.m.
Also on Sunday, kids aged 4 to 12 years are invited to participate in a pedal tractor pull for prizes. The winners in each age group can compete at the state fair in September. There will also be a watermelon feed. The Riley County Fair will conclude Monday morning at 10 with the Fair Olympics. More information on these events and others can be found on the fair’s website.